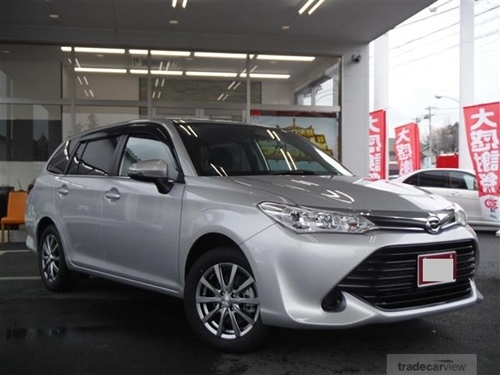 If you are into the market looking for a practical station wagon for your family, then you will come across some excellent JDM options. 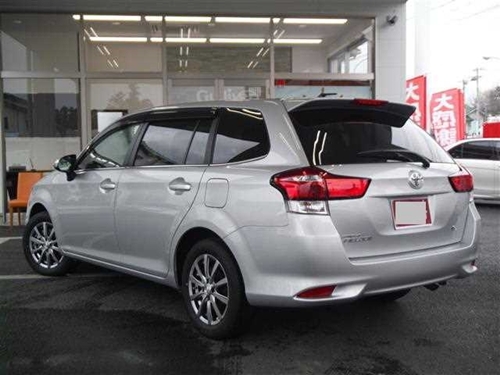 When compared to a sedan, station wagons offer extra practicality making them a great choice especially when you do long trips and carry a lot of stuff here and there. Today we will compare two JDM legends; the Toyota Corolla Fielder Hybrid and Honda Fit Shuttle Hybrid. And I hope this blog will help you decide which car should hold a place in your garage. In terms of exterior styling, arguably none of these cars are going to win any beauty contest. However, it is well understood when you are looking in this segment, both the Fit Shuttle and Fielder share a similar design language with decent exterior lines, unlike the Nissan AD Van or the Toyota Probox which in my opinion look very dull and boring. 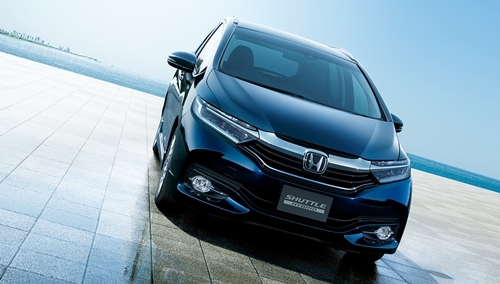 If you look closely Fit Shuttle has a very similar front fascia to the Civic X while rear looks a lot similar to the Toyota Fielder. On the other hand Fielder’s front headlights look quite similar to the Corolla facelift. The front bumper features a large piano black or chrome grill depending on the variant you buy. However, both cars come with DRL’s and LED tail lights along with alloy rims to project a premium look. In my opinion, Fit Shuttle looks a bit more desirable due to its aggressive stylings throughout. The Fielder looks good too and sticks with a more traditional design. In terms of dimensions, there is no clear winner as both cars share very similar dimensions. Step inside both cars, and it’s not hard to realize that the interior is not something you would call posh or premium. Although everything is logically laid out and easy to use, but nothing impressive as mostly you are greeted with plastics throughout the cabin. With only a few soft-touch materials on the side doors and the dashboard. 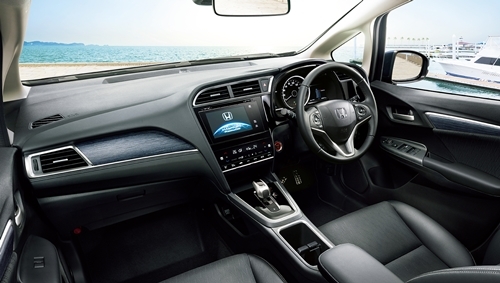 Moving on to the overall interior design you will find Fit Shuttle very similar to the regular Fit hatchback. They share the same multimedia steering wheel along with the instrument cluster with a huge speedometer and two small displays on each side for various information. Moving on to the fielder’s interior, it also has some similarities with its sibling. The overall dashboard design, the circular A/C vents, the center infotainment system looks quite similar to the one present in Toyota Corolla. It is also due to the fact that both cars share the same platform. So if you have sat in a Corolla before you will feel right at home in the Fielder. One slight advantage the Honda Fit Shuttle has over the Toyota Corolla Fielder is the “Electronic Parking Brake” which is missing in Toyota Fielder or any other Toyota in this segment. When it comes to practicality, this is where both cars absolutely shine. Boasting a massive luggage space and rear folding seats which can further increase the load capacity. One slight advantage Fit shuttle has over fielder is its magic seats which makes loading taller items a breeze. Other than that in the five seat configuration both cars can accommodate a decent amount of luggage, and high roof means you can stack more items before running out of space. Safety is no compromise for the JDM no matter what car you buy. Toyota Corolla Fielder and Fit Shuttle both score 5-star JNCAP safety ratings making both extremely safe to travel in thanks to advance safety kit and seven airbags. So it’s a tie in terms of safety for both. Talking about engine configuration, both cars come with a 1.5L engine mated to an electric motor and a CVT transmission. However, not all engines are created equal. While the 1.5L Toyota unit produces a combined output of 100HP but it’s the Honda’s Earth Dream 1.5L which takes the lead, with the combined output of 160HP. There is a 1339 cc version Fit Hybrid available as well.. The Fit is a lot more responsive and can do 0-100km/h in just 8 seconds whereas Fielder takes 10 seconds flat. So when overtaking Fit Shuttle is a lot easier due to its excess power. Now on the fuel economy side of things, Fit Shuttle has a company claimed the average of 32.4km/l whereas Fielder is rated at 33.4km/l. Making things clear company claimed fuel figures are usually hard to achieve. So in the most fuel-efficient way possible you can expect 23-28km/l. Which is still impressive for both cars. The average asking price for a Hybrid Toyota Corolla Fielder is PKR2-2.8 million while Honda Fit Shuttle is usually priced from PKR2.2-2.8 million. While the fielder is a much more widely available car unlike the Fit and spare parts can be found with relative ease. 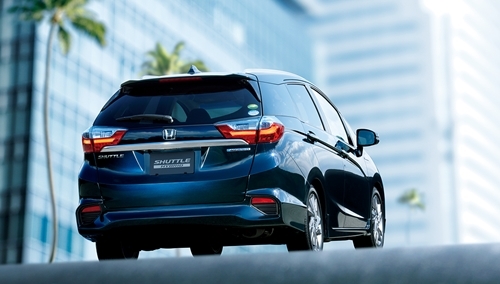 The Fit offers similar equipment but packs some extras as well, like the magic seats, and electronic parking brake. It also benefits from a better power output and performance. Meaning that it’s the clear winner of this comparison. What do you think? Which car would you buy? Let us know in the comment section below. Both have crappy and unreliable CVT transmission. Don't know about Fit, but Fielder has ecvt, and ecvt is totally different from CVT. The same transmission is used in Aqua and Prius lineups. I think Fielder has 8 air bags. CVTs have come a long way past being crappy and unreliable. Everyone knows that. Have you been living under a rock? You dont even know me. As far as owning a crappy CVT, let me give you a list. All with the crappy CVT transmission and all sold and got ridden. Currently Surf V6 diesel with the glock 4 speed auto and Gli 2012, manual. Everybody is entitled to their opinion based on their real life experiences and not just reading from wikipedia. Al though e-cvt is a further division of cvt but you are right its ecvt not the cvt and let me check on the 8 airbags part too. maybe im wrong. bro i own two cvt cars and i never found them to be crappy or unreliable however please share with me that what things make cvts crappy? Dear brother, Again, based on my personal experience . 1. Most dealerships will not rebuild a CVT due to how they fail or mechanics not being smart enough to work on CVTs but instead recommand replacing it for a new one which costs a fortune . 2. The wear/tear factors of a CVT due to the chain/belt and failing at a time and place where your car just becomes a luggage because roadside mechanics have no idea what to do with it. 3. My neighbour just sold both his axio and vitz because of the vitz transmission failure and bought a manual grande. 4. Last week i changed the clutch/pressure plate with the clutch bearing of Gli for only Rs 11600 with Rs 2000 as labour and the car is like new. Cost for a new CVT is between 300-400k. Used ones are mostly lemons. 5. CVTs needs maintainence in terms of regular oil change and its oil is expensive. As far as eCVT are concerned , havent owned them and not really looking forword to it either. okay! bro thanks a lot for the confirmation! Really appreciate! Will get stats fixed soon. Toyota is offering Toyota Safety Sense in new fielder as optional feature, with auto braking, lane departure alert etc. CVTs need to maintained. Change oil regularly and they are rock solid. Mess with them and you suffer. Yeah, bro, you are absolutely right! We just mentioned all the features you can get. Calm down mate, I don't know you but I know the tech and it is very good tech. Just because you owned a few lemons does not mean the tech is bad. By the sound of it, you've had phenomenal bad luck when it comes to owning cars with a CVT. Crappy implies the tech does not work as advertised. I too have owned a Mira with a CVT for more than a year now and it works like a dream. No transmission failures or anything. That said, I also have owned manuals and still do. So in your case, the tech wasn't to blame. Just bad servicing / maintenance - after all, most imports are an unknown quantity and even the City might have been poorly maintained before you got your hands on it - it was the first car with a CVT in Pakistan as far as I'm aware even Honda service guys had no clue about it - they added automatic transmission oil instead of CVT which caused a lot of problems early on. The world is now using mostly either ZF auto boxes or CVTs. Both are excellent choices. Glock too is a very good transmission. Never heard of them being problematic if maintained. You mentioned in a later comment that rebuilding a CVT is not done - very true. However, that is because our mechanics are unwilling to do it even though replacing the belt / chain is relatively an easy job provided the spare is available. A CVT doesn't cost between 300k-400k either though used ones are mostly lemons, I agree. If they weren't good, you'd see a lot less Priuses and Miras and all those CVT cars on our roads, that's for sure. PS: Didn't mean to hurt your sentiments with my comment. Apologies if you felt that way. Peace, bro. what is ecvt. I am going to buy hybrid car. Prius too costly, Aqua ground clearance low. now have two option Fit shuttle or corolla fielder . Don't know which one is better. Anybody confirm me to buy for Karachi area. I also wanna idea engine mileage lasted. Someone told me its 400,000 km. Is it true?